The LEGO franchise: What Went Wrong? After The LEGO Movie grossed 257.8 million in 2014 WB quickly looked to expand the franchise not just with sequels but spinoffs like The LEGO Batman movie and The LEGO Ninjago movie. But the series has had diminishing returns with 175.7 million for the former and a paltry 59.2 million for the latter. With The LEGO Movie 2: The Second Part projected to open to 35 million and squeak by 100 total the book may be about to close on the LEGO franchise. The LEGO world gave them a unique animation style and universe with heroes, villains and endless opportunity for visual creativity. The success of Toy Story also shows audiences can connect to toys as lifelike characters. But the LEGO movie replaces Toy Story’s sincerity with irreverence. Even the title of the second movie The LEGO Movie 2: The Second Part has a joke attached as its subtitle. Simply the idea of LEGO world existing and characters going to work, singing or being superheroes is the starting point of many of its jokes. In other words the movie’s existence in the first place is a major source of its comedy. In addition to the irreverence, the stakes of mortality are less clear in the LEGO world. If a character is split in half does he die, or can you just put him back together? In the Toy Story series Woody was as fragile physically as well as emotionally as most humans, if you pulled his arm too hard it would rip off. He was an old toy that could not be replaced. In LEGO despite the attempts to put the world and Lucy in danger in the second film, the stakes are not as apparent. The LEGO series in other words played like a comedy more than a fantasy epic. The series is more Spaceballs than Star Wars, as much a play on high budget blockbusters like Batman or Mad Max as much as its own epic story. The history of comedy sequels has been hit and miss as it’s hard to tell a joke a second time and have it be as funny. The first LEGO movie was able to surprise audiences with visual gags that nobody had seen before, but after that and two more spin-offs the novelty has worn off. The pieces were there for Emmett to be a similar character as Peter Quill, but a thin line separates them. Quill has the pain of not growing up with a father, Rocket is prickly because of a sadness, and the relationships feel real. Characters like Emmett and LEGO Batman are played just enough more for irreverence to be harder to take seriously as lifelike souls. 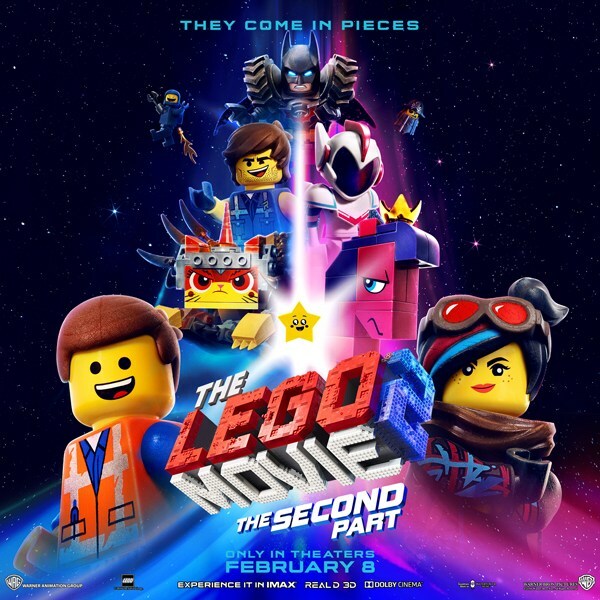 In the end people remembered The LEGO Movie being funny, but like many comedy sequels that disappoint did not connect enough to the storyline to see where it goes next.